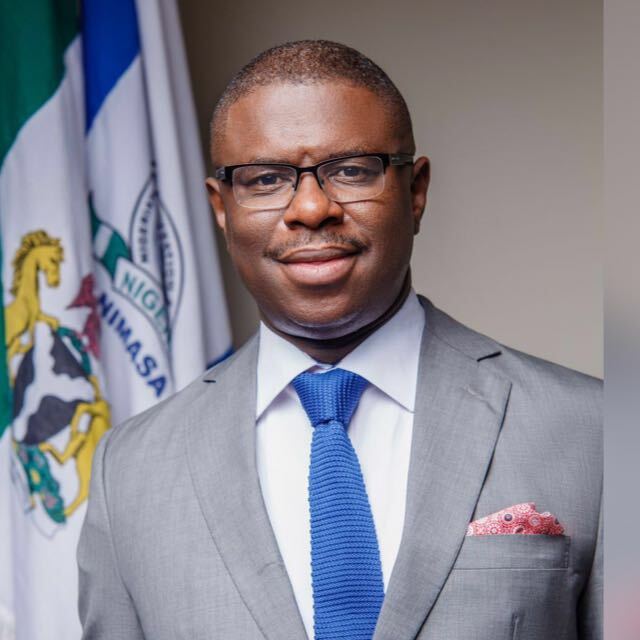 The Director General of the Nigerian Maritime Administration and Safety Agency (NIMASA), Dr. Dakuku Peterside has urged the Nigerian judicial system to ensure efficiency and timeliness in the dispensation of justice in maritime related cases, as it will boost stakeholders and investors’ confidence in the system. The DG who stated this on Monday during the 8th Strategic Admiralty Law Seminar for Judges organized by NIMASA in conjunction with the Nigerian Institute of Advanced Legal Studies (NIALS) in Lagos, with the theme: “Strengthening Nigeria’s Admiralty Regime through Effective Implementation of International Maritime and Labour Instruments” reiterated the fact that the maritime sector in Nigeria has a lot of opportunities to become an economic driver and this can be fully actualized when the various arms of government work together collaboratively. Meanwhile, Dr. Dakuku disclosed that the Agency has already ratified 40 conventions of the International Maritime Organisation (IMO) and International Labour Organisation (ILO) on maritime safety, maritime labour and marine environment management, domesticating 19 of these conventions either by adoption, regulations or by incorporation under the Merchant Shipping Act, 2007. Speaking further, he said that the Agency was working closely with the Federal Ministry of Transportation under the auspices of an Inter-Ministerial Committee to ratify an additional six IMO conventions before the end of 2019 to ensure that Nigeria as an IMO member state fulfills its treaty obligation. He also gave the assurance that NIMASA as a responsible Agency was working with relevant stakeholders under the auspices of the IMO Mandatory States Audit Scheme (IMSAS) Corrective Action Plan Committee to ensure that all queries raised in the 2016 IMO Audit report on Nigeria’s maritime sector are addressed before the first quarter of 2019 in order to boost Nigeria’s reelection bid into Category ‘C’ of the IMO General Council. In the area of maritime security, which is critical to actualizing a safe and secure shipping, the NIMASA DG informed participants that the draft suppression of piracy and other maritime offenses bill facilitated by the Agency, aimed at criminalizing piracy and other maritime offenses has been forwarded to the National Assembly, adding that the bill has passed first reading in both chambers of the National Assembly. He also expressed optimism that it will be passed to Law before the end of the 8th Assembly. “NIMASA remains committed to playing its part in ensuring the implementation of relevant maritime treaties to ensure the growth of the maritime sector and admiralty regime,” Dr. Dakuku stated. On his part, the Director General of NIALS, Professor Adedeji Adekunle who was represented by the Director of Studies, Associate Professor Emmanuel Okon of NIALS, corroborated the stance of the DG, NIMASA on the need to expedite judgement on maritime related cases. “The crux of the matter lies on enforcements and the stakeholders who happens to be the judiciary”, he said, and gave the assurance that NIALS wouid continue to partner NIMASA in order to realize a timely judicial dispensation in the maritime sector. NIMASA in line with its mandate of promoting the development of shipping and building capacity in the maritime sector, instituted the Strategic Admiralty Law Seminar for Judges with the initial target being judges of the Federal High Court who by provision of Section 251 (I) (g) of the constitution of the Federal Republic of Nigeria 1999 (as amended), are vested with exclusive jurisdiction over Admiralty matters. This scope subsequently expanded to include Justices of the Court of Appeal and the State High Court Judges of the littoral states, mindful also of their strategic roles in the dispensation of justice.